On Nov. 11, 1943, Pfc Floyd K. Lindstrom and the men of his unit were outnumbered five-to-one as they fought off a German counterattack on a hill near Mignano, Italy. Ignoring the small-arms fire impacting around him, Lindstrom maneuvered his heavy machine gun up the rocky hillside and then stormed an enemy’s machine gun nest with his pistol. After capturing the machine gun and dragging it back to his unit, Lindstom continued to fire on the German positions until the counterattack was repelled. Months later, the Colorado Springs native made the landing on the Anzio beachhead and was killed in action on Feb. 3, 1944, as he fought off another enemy counter attack. He was posthumously awarded the Medal of Honor two months later on April 20, 1944, for his actions on a far-away hillside in Italy. Lindstrom’s heroism and commitment to his fellow soldiers was remembered earlier this month, 75 years after his death, during a Medal of Honor dedication ceremony at the VA Eastern Colorado Health Care System clinic named after him. 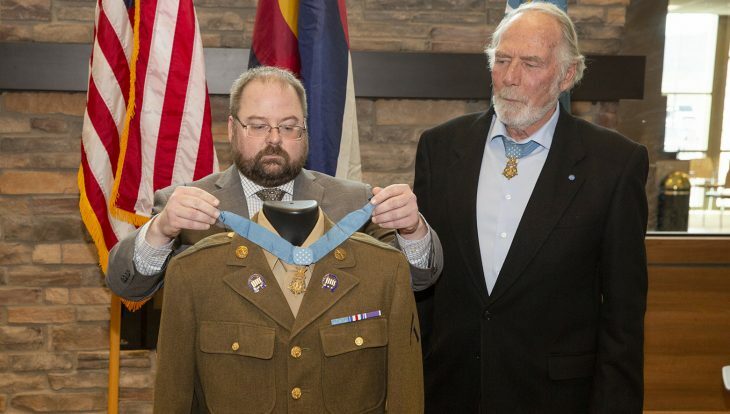 The Medal of Honor Foundation and the Center for American Values partnered with clinic leadership to share Lindstrom’s story and present an authentic Medal of Honor to the Colorado Springs community. The ceremony was standing room only as hundreds of fellow Veterans came from across the state to honor a man who was once described as a “one-man Army.” The current principal from Cheyenne Mountain High School, where Lindstrom graduated in 1931, and Eagle Scouts Troop 1, the troop Lindstrom was a member of before joining the Army, was also in attendance. 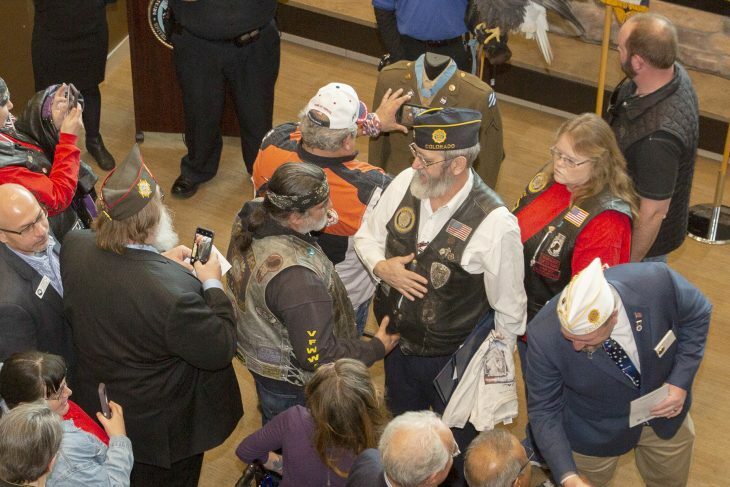 Clinic leadership and staff made it a point to recognize the efforts of two Veterans who made it their mission to bring the Medal of Honor to the community. 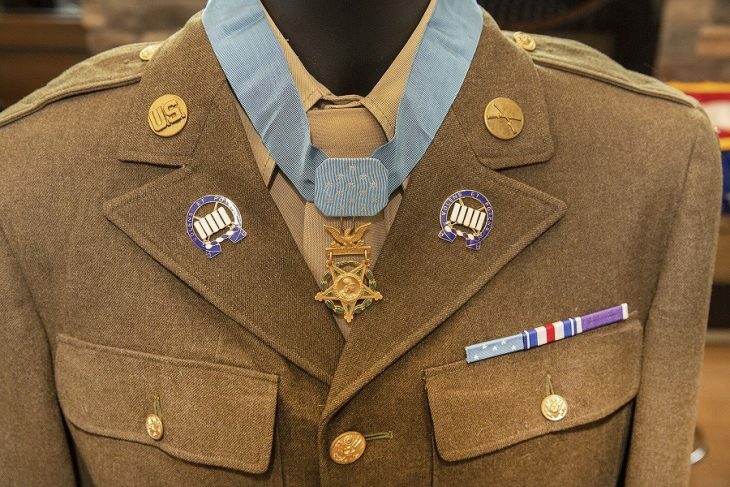 Keith LaMee and Drew Dix, the president of the Medal of Honor Society and a Medal of Honor recipient himself, worked tirelessly to further Pfc Lindstrom’s name and accomplishments. An Army uniform and other World War II memorabilia specific to the time serves a visual representation of Lindstrom. And to complete the display, LaMee contacted a man in Italy who sent him soil and sand from the historical areas where Lindstrom fought and where he made his last landing. Brandy Morrison is a U.S. Army Veteran and public affairs officer with the VA Eastern Colorado Health Care System.